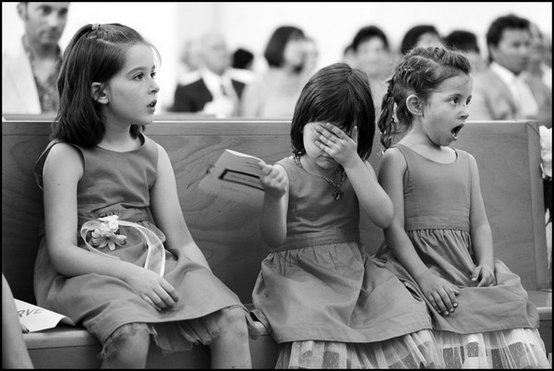 Not all wedding moments are picture-perfect. You can plan your wedding down to the last minute, have SEAL Team 6 as your bridal party, and hire a wedding planner who promises to keep things moving like a German train station, and you will still end up with moments that probably shouldn’t have been memorialized forever. Don’t fret; everyone has them. Just look at the proof below. No one knows “yucky” like little girls. 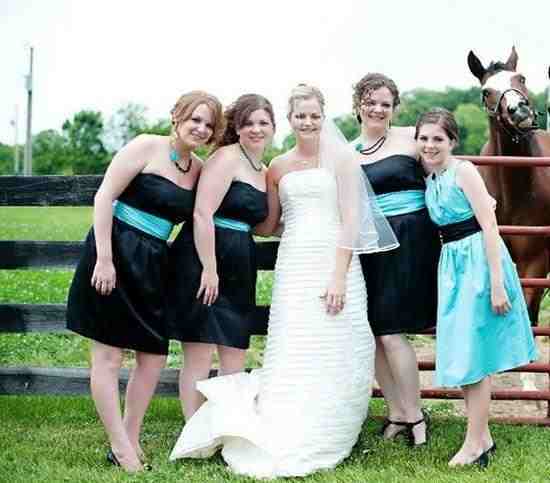 There’s something off about that fifth bridesmaid. At least she shaved her legs. Can you blame her? It’s naptime.